The Remote Desktop Connection app in Windows enables users to connect to a desktop or laptop with another PC. However, numerous users have stated on forums that Remote Desktop stops working for them after Windows updates. Consequently, the users can’t connect to a host (or server) with Microsoft Remote Desktop. The KB4103727 update is one update that stopped Remote Desktop Connection connecting to hosts. A number of users stated in May 2018 that they couldn’t connect with Remote Desktop after the KB4103727 update for Windows 10 version 1709. In June and July 2018, some users also stated on forums that RDC stopped working for them after the Windows 10 April 2018 Update (version 1803). These are a few fixes for Remote Desktop when it stops working after a Windows update. The May 2018 update’s “authentication error has occurred” error was due to users utilizing Remote Desktop on an updated client to connect to an unpatched host server. Thus, the KB4103727 or equivalent update wasn’t installed on the host’s platform. So check that both the client and host have both been updated with the same monthly updates. You can check recent updates in Windows 10 as follows. Right-click the Start button and select Run on the menu. Enter ‘appwiz.cpl’ in Run, and press the OK button. 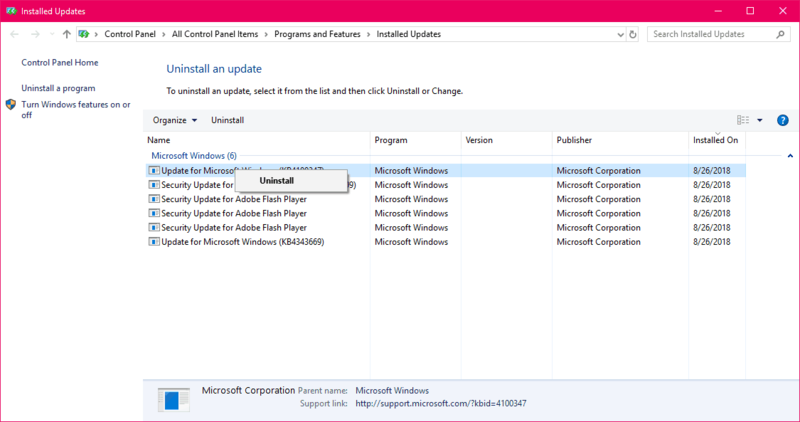 Then click View installed updates on the left of the Control Panel’s window to open a list of recent updates. There you can check if the host has received the same updates as the client. If the host is missing one of the client’s updates, press the Check for updates button on this page to manually search for and install missing updates. You can also download updates from the Microsoft Update Catalog. To check your Windows 10 platform hasn’t missed the KB4284848 update, and other updates, press the Cortana taskbar button. Enter ‘updates’ in the search box and click Check for updates to open the window shown directly below. Then press the Check for updates button there, and select to install updates. You can also remove the update on the client desktop or laptop that stops Remote Desktop connecting to the host. If you’re not sure what update to uninstall, roll Windows 10 back to a restore point with System Restore. That will remove all patch updates after a selected restore point. Thus, you can restore Windows to a date when Remote Desktop worked just fine. 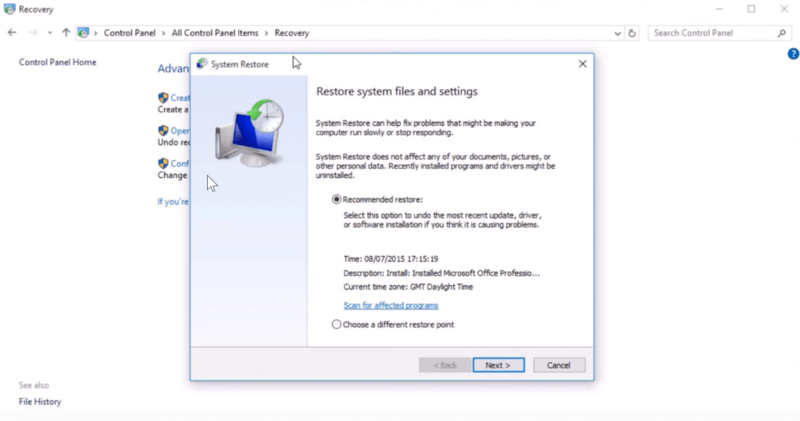 This is how you can roll back updates with System Restore. Press Run’s Windows key + R keyboard shortcut. Input ‘rstrui’ in Run’s text box, and press the Enter key. 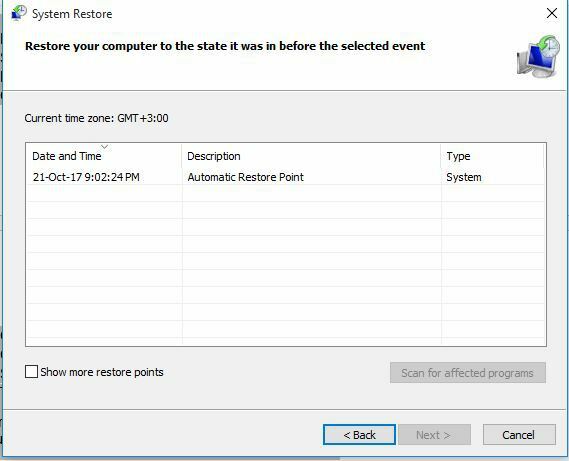 Click Choose a different restore point on the System Restore window. Select the Show more restore points check box to fully expand the list of restore points. Then choose a restore point that will roll Windows back to date when Remote Desktop connected to the required host. Click Finish to confirm the selected restore point. 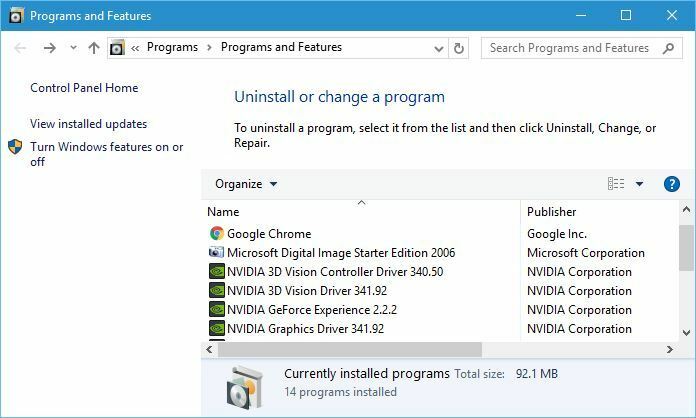 To ensure Windows doesn’t automatically reinstall the update, check out the Show or Hide Updates Tool. You can download that utility from this webpage, and this article provides further details for the Show or Hide Updates Tool. There are numerous third-party software alternatives to Remote Desktop Connection that might be worth noting when RDC doesn’t connect. So it might not be essential to fix RDC. Team Viewer is one notable freeware alternative to RDC that you can connect to remote desktops or laptops with. This post provides further details for some of the best Windows 10 remote desktop software. Some of those resolutions might fix Remote Desktop when it doesn’t connect to hosts after a Windows update. Remember, however, that Windows updates aren’t always to blame if RDC doesn’t work. You can check out this post for further Remote Desktop fixes.